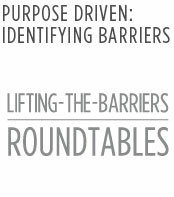 The forum convenes around sector-based “Lifting-the-Barriers Roundtables” with vertical emphasis on issues specific to the selected sectors. The LTBI convenes the shapers of business and policy makers of ASEAN, Asia Pacific and world economies, for a discussion on the economic future of the region conducted in the context of a global economy in profound transformation. 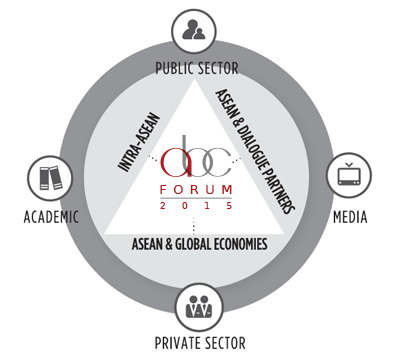 The ABC Forum provides a unique platform for stakeholder engagement and an effective avenue to align public and private integration efforts. The forum convenes all relevant stakeholders from around the region. It seeks to establish a dialogue between public and private sectors, the media and academia for an inclusive and reflective discussion. In addition to a regional ASEAN focus, the ABC Forum also serves to offer extra ASEAN engagement with ASEAN’s dialogue partners and other global role players.